The traditional model of new product development (NPD) follows a five-step methodology of opportunity identification, customer understanding, concept development, process design, and refinement/implementation. While logical, the process is often made unnecessarily lengthy. The idea often comes quickly, but developers then take months, years even, perfecting the product without ever actually showing it to a prospective customer. Take Nokia for example, a company with a reputation for indecisiveness and inertia. Over the years the Finnish company has acquired numerous businesses, and subsequently failed to bring products to market by neglecting to set strategic priorities, allocate resources and develop a sound integration plan. Fortunately, digital marketing allows businesses to break free of this cycle. Customer subjectivity and little to no R&D costs mean that businesses can pursue a philosophy of “satisfy customers and the rest will follow”. 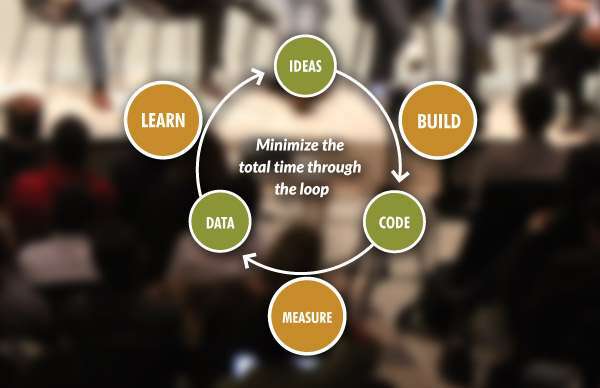 This is a core tenet of Eric Ries’ Lean Startup model, which rejects the popular approach of learn-measure-build in favour of a reverse approach. Through the launch of a minimum viable product (MVP) as early as possible in the process, The Lean Startup model facilitates continuous improvement through customer feedback and iterative development. Take online advertising for example. Google AdWords allows users to launch and track the effectiveness of multiple ad variations concurrently, culling the version that generates the lowest click-through rate, to maximise return on investment. Likewise, for website design, A/B testing tracks customer interaction with different home page designs to determine which is more likely to result in a sale, or a sign-up. Email marketing too allows different versions of a message to be sent to two halves of a customer database, to gauge response and guide future planning. To be clear, embracing the Lean Startup model doesn’t negate the need for a clear and cohesive digital marketing strategy for your business. But it does suggest that time to market can be reduced considerably, and if your strategy doesn’t deliver the anticipated return, it can be adjusted quickly and easily in response. Want more information on how to fast-track your digital marketing efforts, or measure the effectiveness of an existing campaign? Contact us for no-obligation advice on how to make the most of the digital opportunities before you. 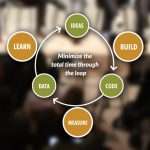 For more information on the Lean Startup model please click here (opens in new window). Welcome to the Mosaic blog, your source for digital marketing news, tips and advice. We aim to keep this page updated regularly, with content aimed at helping you think about your digital marketing strategy, your website and how well optimised it is for customers to find it, the targeted search and display advertising that you run, and your social media presence.